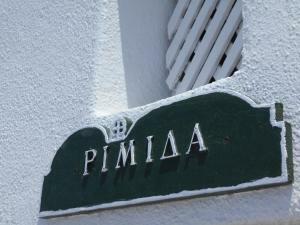 Rimida Villas is a group of independent traditional villas located in a picturesque area of ​​Perivolas, just outside Oia. 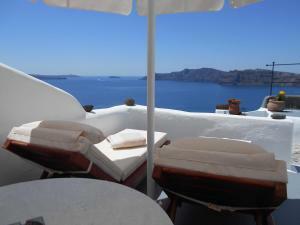 There are views of the caldera, the volcano and the sea from the private terraces. This studio has a private entrance, air conditioning, tile / marble floor, electric kettle, CD player and DVD player. There is a bathroom with toilet and shower. A flat-screen satellite TV is available. There is a kitchen with kitchenware. Children or additional adults can not be accommodated. This double room has a DVD player, air conditioning and balcony. This apartment has air conditioning, tile / marble floor, bathrobe and kitchenware. The bathroom has a toilet and a tub / shower. There is a flat-screen satellite TV. The kitchen offers kitchenware and a fridge. This traditionally decorated cave house opens out to a private furnished balcony with caldera views and a hot tub. It has a kitchen area with a small dining room and a bathroom. Cave house with indoor hot tub, air conditioning and private furnished patio with caldera views. It has a private entrance. It has a flat-screen TV with satellite channels, tiled / marble floor and a seating area with a sofa. Cleaning products and kitchenware are provided. Attention: it does not admit additional guests. This spacious cave house opens onto a private terrace furnished with a cave-style hot tub and views of the caldera. It includes a bedroom with a built-in bed, a living area with a built-in sofa, a kitchen and a bathroom with a shower.